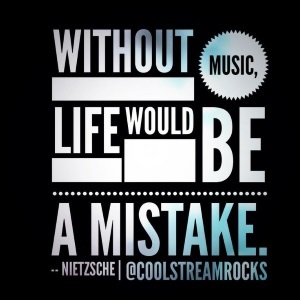 We love this Nietzsche quote, and we want our products to work with your music. So please contact us with any question or concern that you have. CoolStream is the brand name owned by Exeter Science & Entertainment. 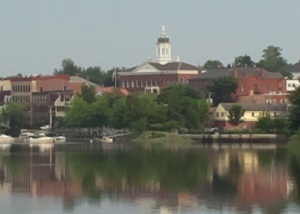 We are a start-up based in Exeter, New Hampshire (60 miles north of Boston). The two owners of CoolStream, Mark and Susan, love music and gadgets. They created CoolStream to use the magic of Bluetooth to solve inconveniences associated with trying to get new phones to work with 30 pin iPod docking stations. This led to a whole new appreciation of wireless gadgets. Susan and Mark are very enthusiastic about their products. Here they are even standing in an extremely cool stream to promote the CoolStream Duo. So reach out to us with an email or phone call, and we will answer as soon as possible.